"The work that was done last night was truly amazing," Sheriff Jim McDonnell said. "These deputies went out there, they were given a report of assault with deadly weapon that just occurred. When gang members drive up and ask you where you're from, the next thing you usually hear is a gunshot." 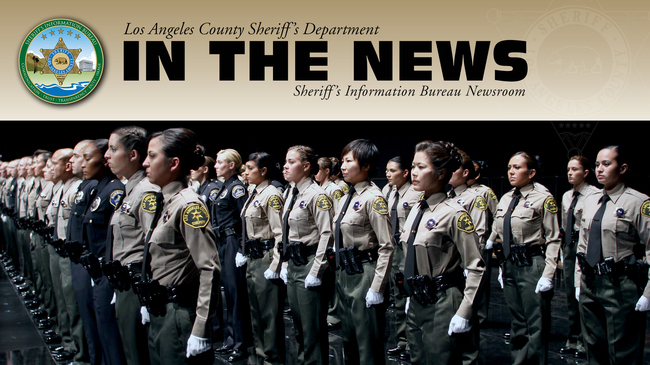 LASD's Homicide Bureau Detectives are continuing their investigation into the circumstances surrounding a deputy-involved shooting, which resulted in the wounding of 2 deputies, the death of a male suspect, and the wounding of another male suspect. The incident occurred on Wednesday, September 19, 2018, at approximately 6:20 p.m., at Salazar Park, East Los Angeles. 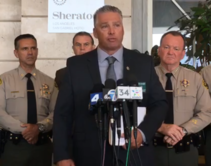 Los Angeles County Sheriff’s Deputies Samuel Goldstein and Tanner Harris didn't wait for firefighters when they decided to clear apartment complex engulfed in flames. 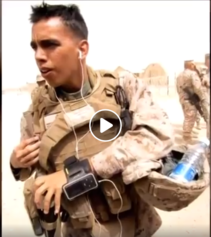 Marine Corps Veteran, LA County Sheriff's Sergeant, Soccer Coach- Does This Hero EVER Rest? Transitioning out of the military can be a challenge for veterans entering the next chapter of their life. Veterans with a passion for sports can make a difference in the life of a child while advancing their own, with Compton Sheriff's Youth Academy. 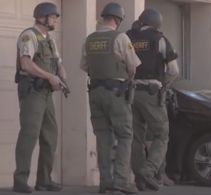 Watch this short spotlight of the Santa Clarita narcotics team as they breach the door at the location of a month-long operation. Carson Deputies Melvin Castro and his trainee, Deputy Omar Sanchez were featured LIVE on “The Challenge” with Fred Roggin immediately following the NBC4 Sunday Night Football game. They were thanked for their heroism following the life saving efforts for the rescue of a baby a a few months ago. 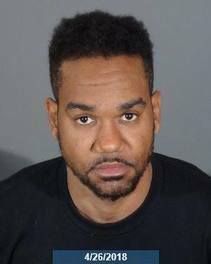 LASD Special Victims Bureau Detectives are investigating a sexual assault case involving Defendant Christopher William Roby. Roby is currently in custody and awaiting trial. He is believed to have sexually assaulted 4 female juvenile victims in the South LA and Compton areas. After extensive review, detectives believe there may be additional victims and are hoping they will come forward. 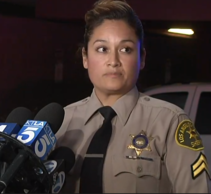 Deputy Joana Warren of the Los Angeles County Sheriff's Department is holding a press conference on the ongoing barricade situation in Castaic. ELA Mexican Independence Day Celebration Exemplifies the Diversity of LA County! Thank you to the the ELA community for the support and celebrating responsibly during the Mexican Independence Day celebration. Community collaboration at its best!